Today, we’re all suffering from information overload, whether it’s television, social media, emails, or conversations with friends and family. And with such a continuous stream of available information, it’s challenging to discern fact from opinion, truth from clickbait, qualified expert from influencer. Unconscious bias can also come into play which can sometimes create a polarized environment where people are embedded in their beliefs as a result of often well-intentioned, yet incomplete information. No, I’m not talking about politics. I’m talking about processed food. Why can food create so much controversy? Food has an intrinsic, emotional value. It can be tied to beliefs, traditions, and a desire to maintain optimal health and wellness. And because of this, we try to make the best decisions about what we eat and what we feed to those we care about. As the parent of a young daughter, I am keenly invested in the food she consumes. I seek transparency, review food labels, and aim to ensure that she’s maintaining a balanced, nutrient-rich diet. As a food scientist who has spent a better part of my career in roles where I represented the expressed needs of consumers, I am passionate about ensuring that food is safe, nutritious, delicious, affordable, and sustainable. These were shocking headlines to read. But when I looked past the headlines and took an objective assessment of the facts, I realized this is a highly complex, personal topic that requires deeper understanding. Processed foods can be, and often are, misunderstood. There are many different types of processed food and some can be unhealthy, especially when made with high amounts of sugar, salt, or fats. But many are healthy and offer a lot of nutritional value as well as greater accessibility to many people. So why the confusion? Classification systems, who by design, try to simplify criteria to help make things more easily understood, can sometimes go too far and oversimplify our highly complex, global food system. For example, many classification systems would categorize powdered milk as ultra-processed and thus unhealthy. 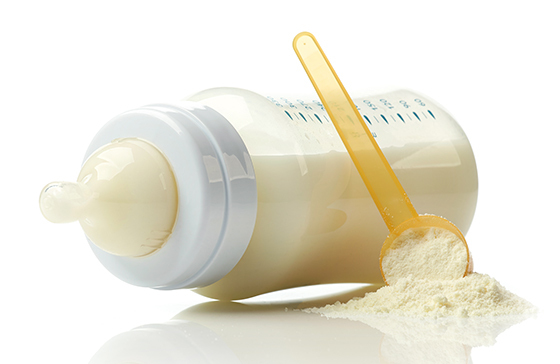 However, powdered milk has a significant source of nutrients for underserved or remote populations who do not have access to or can’t afford fresh milk. Additionally, developed countries rely on processed foods to fight nutrient deficiencies. Take rice fortification which improves consumption of essential vitamins and minerals. And yet this could be considered a food to limit by classification systems. A report using data from the National Health and Nutrition Examination Survey 2003-2006 indicated that processed foods helped Americans to meet dietary recommendations (Dwyer, Fulgoni III, Clemens, Schmidt, and Freedman 2012). This is in stark contrast to advocates of the NOVA ultra-processing classification system, which states that the production and consumption of ultra-processed foods represents a world health crisis as they relate to associated issues with processed food being inconsistent with the United Nations Sustainable Development Goals (Monteiro, Cannon, Moubarac, Levy, Louzada, and Jaime 2017). To understand the conflict, one first needs to understand what is considered processed food. What is processed food really? Processed foods are simply defined as something that’s been altered from its original state. That means peanut butter, bread, canned tomatoes, frozen fruit, cut vegetables, yogurt, and canned tuna are all considered processed foods. Additionally, heating, pasteurizing, canning, fermenting, and drying are all considered forms of processing. Some definitions can even include refrigeration. Cooking at home is itself a form of processing. In fact, the majority of foods in the modern diet are processed and they have been for centuries. And that’s a good thing. In most cases, food processing ensures food safety. For example, for centuries milk has been pasteurized to help keep it safe by reducing its bacterial load, killing pathogenic bacteria (like e-coli), and stopping foodborne illnesses. And beyond that, fortifying foods, which can be defined as strengthening and improving, leads to enhanced nutritional value. This is done when milk is fortified with vitamin D, salt is fortified with iodine, or flour is enriched with vitamins and minerals. Ultimately, the intent of processing isn’t to make your food unhealthy or make it less nutritionally valuable. On the contrary, processing can actually improve nutritional values. This is why as a standard practice, food processing engineers invest significant energy into minimizing the impact of processing on the nutritional value of food. Are good intensions misleading consumers? To help provide greater understanding, I’m going to use the NOVA classification system as an example of where confusion around this topic can come from. The NOVA classification system and subsequent assertions are particularly troublesome because they make a direct correlation with ultra-processed food being bad for you. When looking at the classifications, I see two fundamental areas creating confusion and misinformation. First, the distinction of nutrient levels versus degree of processing. Recommendations from the USDA and Department of Health and Human Services on how to make healthy food and beverage choices are based on data that links nutrient intake with the prevention of noncommunicable chronic diseases. On the other hand, the NOVA classification is not based on nutrient intake but rather on the degree of processing. However well-intentioned, that classification is over simplified. Implying that a food product with five or more ingredients is somehow unhealthy and even dangerous is arbitrary and, in many cases simply untrue. It’s also misleading and untrue to imply that eating processed foods “often” includes foods high in “sugar, oils, fats, salt, anti-oxidants, stabilizers, and preservatives.” This is not to say that there are instances where a processed food may have unhealthy amounts of these ingredients, but it is inaccurate to state it in the way the classification has done. Processed foods are a valuable part of the modern diet that can provide safe food and a significant amount of nutrients for the global population. Classification systems, although well-intentioned, don’t tell the whole story and unfortunately result in consumer misunderstanding. To address that, we must stress that because food is processed or ultra-processed does not mean it has lower nutritional value. In fact, it may have a higher nutritional value. As we start to see governmental bodies looking to classification system to inform policy, the importance of understanding what classifies food as processed or ultra-processed, as well as healthy versus unhealthy, becomes critical. It’s time that the classification system be re-examined to help consumers and their policy makers make more informed choices and policy decisions respectively. Likewise, as food professionals, it is our responsibility to provide evidence-based information to our respective communities. In doing so, we help consumers gain a better understanding about the foods they eat and to assist them in making informed decisions.